How Do You Listen To Developer Commentary In The HD Collection? 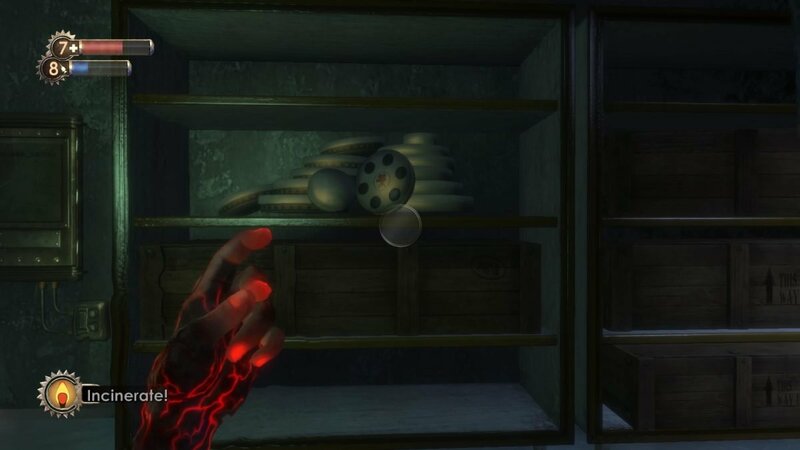 I want to be able to listen to the developer commentary in Bioshock 2. When i go to the developer commentary item in the game menu, I am unable to enable it. What do you need to do in order to enable the developer commentary? The Bioshock HD Collection comes with developer commentary for a lot of the areas in the game. In the pause menu you can see that there is an item in the area just above the Big Daddy option. There is no way to interact with this icon in order to play the media. 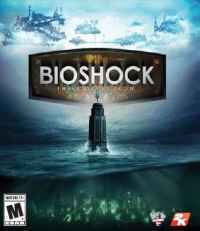 How do you listen to developer commentary in Bioshock? This is actually a really fun way to implement a commentary system, especially for those who have played this game before. 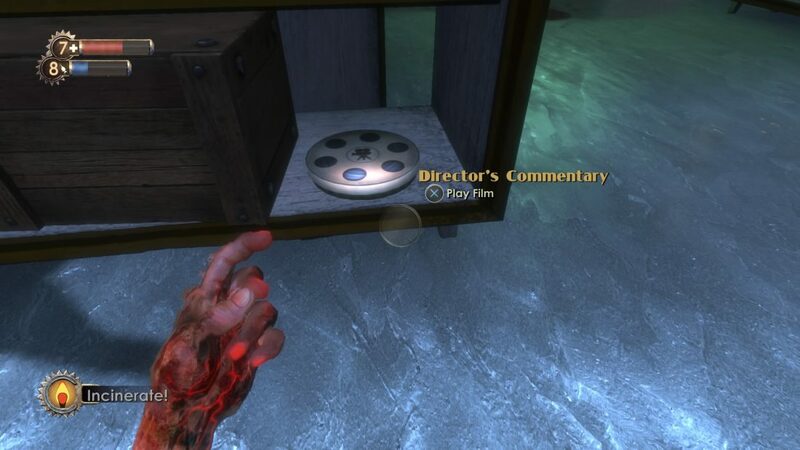 The commentary can be found/unlocked by locating a collectible film reel within the game world. When the pause menu signals that there is one in the area you can begin to hunt around for it. The actual film reel can be well hidden,but there are clues to look out. It seems that whenever there is a reel nearby you will see a stack of them quite similar to this. If you search around nearby, you are likely to discover that there is a single film reel that you can pickup. Once you collect it, the video will start playing. If you skip it, you can watch it later from the games main menu. If you want to find them all then check out this guide for locating all of the Director Commentary golden film reels.